In my last post I wrote about the mythical treasure of Daga Dzong but I have not discussed about where it came from. I could only write about having seen it for real. It was a 7.2 feet long buffalo horn, which is by far the largest in the world (at least as far as I know). The Legend has it that one day in 17th century, people living in Daga Dzong heard an unusual bellow of a buffalo from the deep jungle across the valley. 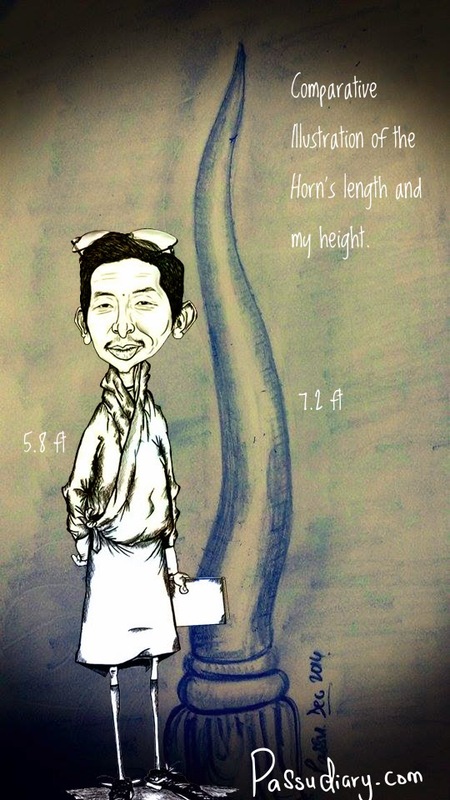 The Lam (ID not known) sent his subjects to check on the animal but upon reaching the site all they found was a pair of gigantic horns. They pair of horns were kept in Daga Dzong for centuries and over the years, it was said that the horns were carelessly thrown all over the place until one day one horn flew away. It was then that the single horn left behind was received back in the Goenkhang of the Daga Dzong and treated as one very important treasure. The other horn which flew away is believed to be in Talo Monastery in Punakha (Need to confirm). It's pity that I didn't know about it when I was close to Talo. I visited Talo twice and if it was true it can't be missed, literally. After having seen the horn itself there is nothing so unbelievable about anything but because horns don't have wings I am a bit suspicious about the flying horn myth. I rather prefer to believe that the horn was brought to Punakha as a gift, because Daga Penlop was known in history has someone who brought the best gifts to Punakha Dzong during those day. 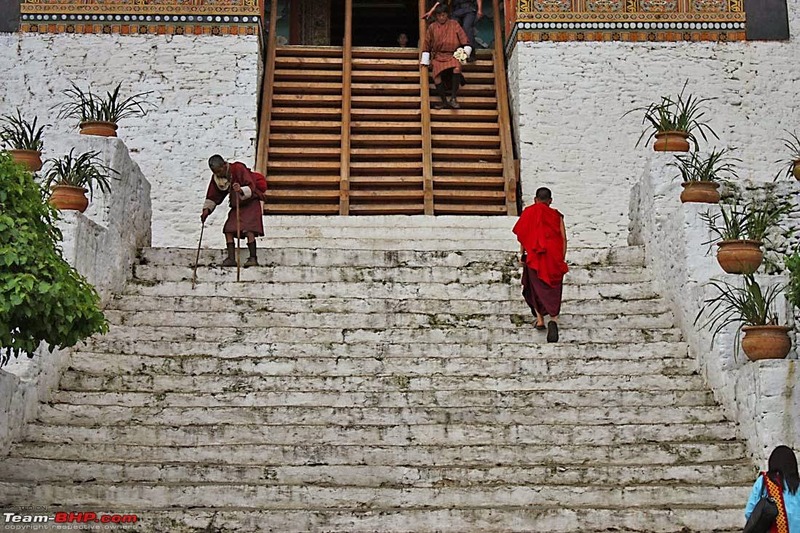 It's said that the three parallel staircase in Punakha Dzong were for Trongsa Penlop, Paro Penlop and Daga Penlop, where Daga Penlop was given the privilege to climb the central stair because of the kind of gifts he presented. Perhaps he must have brought it along with so many ivories he presented to Zhabdrung those days. After seeing the horn, I have looked all over the internet to see if there is any 7 feet long buffalo horn in the world but I found none. In fact, no species of buffalo has horns that looked close to the one in Daga Dzong. Of course none matched its size too. So is it really buffalo horn? 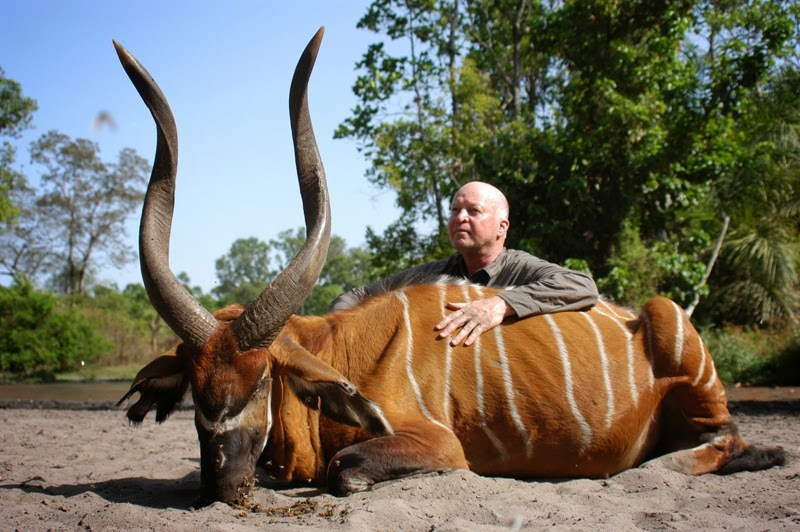 As I pursue my fascination for largest horns I stumbled upon Bongo, the largest and heaviest antelope found in the Lowland Rain Forest of West Africa and the Congo Basin to the Central African Republic and Southern Sudan. This animal has similar horns that grow very long. But again how could a pair of horns from Africa land up in Dagana? and More over the world record holding Bongo horn is just 3 feet long, no where close to the 7 feet long mythical horn in Daga Dzong. Therefore the mystery remains and it's best left that way. 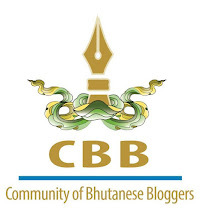 2015 is observed as Visit Bhutan Year and it's time we Bhutanese visit our own country and enjoy its unmatched cultural heritage and endless mysteries. I am giving you 7 feet long reason to visit Daga Dzong this year. World dreams to visit our country, we are already here! Disclaimer: There could be factual errors regarding time periods and historical references for which I seek your kind correction. Please leave your comments in the comment box below. It's really great pleasure for me to go through your research work on this treasure though it's less than what you were trying. I was asking about it to many great grand parents and they all have less to say than yours.